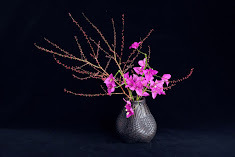 Shoso's Ikebana sculpture was again selected for this renowned contemporary art exhibition. Thank you all volunteers and Shoso's students who helped to make this 9m tall work. We also thank Red Cloud Bamboo for providing bamboo branches.